Such an great video on defining the damaged people in our world and explains very well why life is as it is right now because of the damage to humanity and their inability (it appears) to pull ourselves out of this. Love is the answer and love can heal all scars and wrongs. Doesn’t make them disappear; just makes it a bit easier to live a somewhat normal life with such abnormal history projected for you upon your lifeline. Abusers most of the time use mind control is some size, shape or form to control their victims. And what one has to consider, they are energy vampires and they want to feed off your beautiful life force. They will kill you eventually with this if given the right opportunities. We must detach from all toxic people in our life and all abusers. This video speaks to many things we need to be aware of. The voice is a little annoying on this video but don’t allow the message to escape you. The dolphins and whales helped bring me out of my shock, grief and dismay. I finally for the first time in my 48 years on this earth had some thing I knew was true. 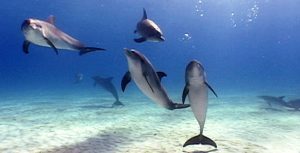 I had wisdom being communicated to me through mental telepathy from these Wise Ones and I began to learn a different history about these beauties and about our existance here on Earth and within our Universe. I learned that anyone can communicate with them and learn with them and even be healed by them by just asking. 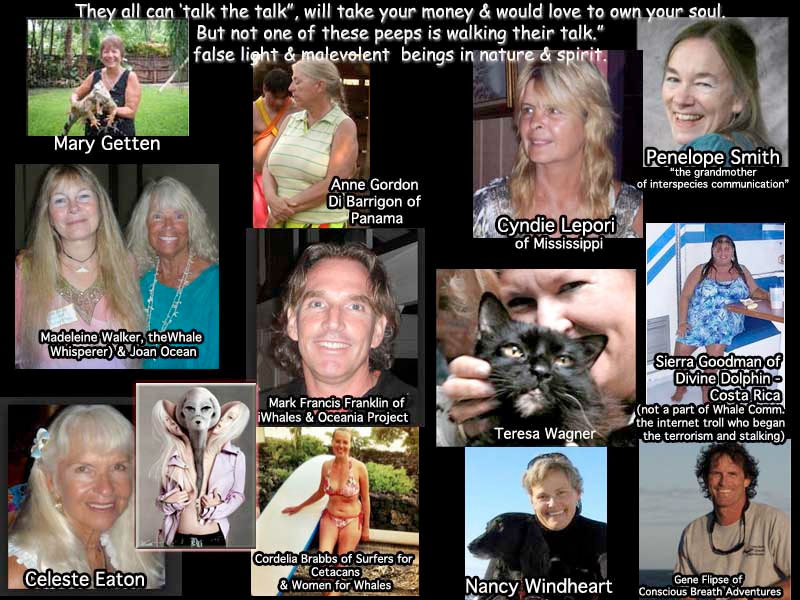 I learned there was a lot of false light pretending to be protectors of the whales and dolphins and or the voice for these Wisdom Keepers in our world over the years. And what I found was a whole lot of illusion going on in this industry and amongst it ranks. In early 2010 – I began to be attacked in what I finally know to be ‘gangland attacks’ to shut me up. My cat was killed and I was almost killed the first 6 months of 2013. Attacks still come on a regular basis to get me to stop what I am doing. My means to make a living has been wiped out. My websites, emails and social networks are operated by the government now and I have very little say in what is seen. And what they mistook of me – is they just they outraged me with their actions and truly pissed me off with their lies and their illusions and I won’t EVER shut up now!!! They killed my cat Lola, a 7 year old ‘fraidy cat’ I watched her die in 3 months in pain and immense fear and there was nothing I could do to stop the psychic (invisible) attacks to her stomach. This became PERSONAL at this point. And I will now OUT everyone involved in this nasty deceptive behind my back TAKE DOWN. I have kept silent these past few years because of the intensity of the attacks and being driven to poverty. To watch the actions of the following people and their friends and teams and how they conduct their businesses for the last 6 years and to witness first hand the low down dirty things people will do to eliminate good people who they don’t like and to watch others sit by and do NOTHING was painful. Wake Up World – pull back the curtains and quit plugging into the false light and fake goodness of our world. It’s a completely false matrix operating here.